Ping's Sigma 2 line includes 10 models. Ping's New Sigma 2 line isn't the company's first stab at adjustable-length putters—they tinkered with the concept some five years ago, but with mixed results. What brought Ping back for another go? According to Paul Wood, vice president of engineering, it's the appeal of delivering custom-fit results to an audience—a big audience—that may not yet be comfortable with a full-blown putter customization. What changed this time? As with many things in R&D, you build on the partial success and failures of things in the past. We had an adjustable-length mechanism in that first version—a fairly simple clamp—that did an awful lot of what we wanted, but we also had a list of things that didn't quite work. The new models are designed so that the grips remain perfectly aligned during the adjustment process, with mass spread more evenly under the handle. The idea is the one percent; figuring out how to make it happen is the other 99. It's a difficult engineering problem to solve, but this time, we got it right. Was there a breakthrough, Eureka!-type moment? There are always a few. One aim was to keep the whole mechanism as light as possible, but of course there's a tradeoff in terms of strength. We wanted to make most of the pieces from injection-molded plastic, but we weren't getting the strength necessary and saw some breakage in testing. A different group here had done some R&D work on thermoplastic composites. Somebody said, “What if we used that for those injection-molded pieces?” Suddenly, from being on the borderline of sufficient durability, we had the material properties we needed. 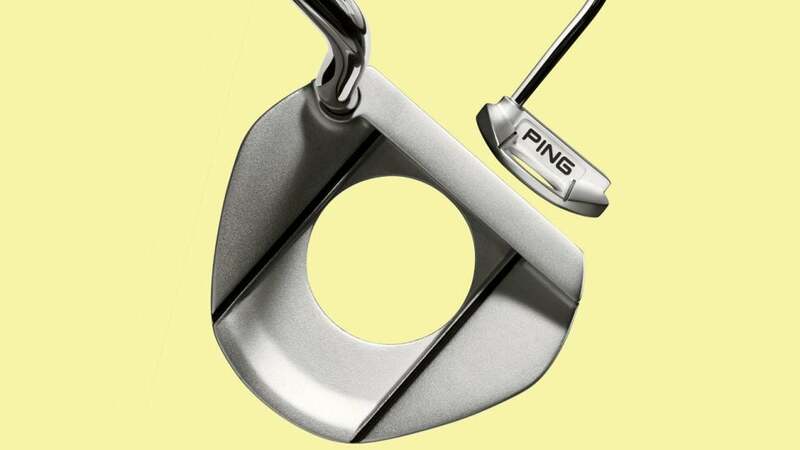 You can custom-fit 10 proven Ping designs with the turn of a wrench. How does the adjustability actually work, since the technology lives beneath the putter grip? The mechanism is a long aluminum screw that's attached to the grip end. That screw is held in an injection-molded female part that's attached to the clubhead end. When you put your wrench down into the grip end and turn, the screw goes into or out of the housing piece, and the grip will move up or down the putter. One full turn, depending on the direction, either lengthens or shortens the putter by about a quarter-inch, and the putter can go from 32 inches to 36 inches long. What's the problem with having a putter that's too long or short? The simple answer is, it's more difficult to line up a putt if your eyes aren't more or less over the ball. If a putter's too long, it promotes your eyes being too far inside the ball. If a putter's too short, your eyes tend to be outside the ball. Elite players almost all have their eyes directly over the ball or over the heel of the putter. Ping Sigma 2 putter lengths range from 32"-36". So we've twisted our Sigma 2 to the appropriate length—is it all about aim and alignment, or will this wrenching bring other benefits? In testing, we found that if we allow you to adjust to something that's comfortable for your putting posture, your distance control gets better as well. Without any advice from a fitter or a coach, we've seen testers' distance control improve about 20 percent. Do you foresee any other applications for adjustable technology? Whether you're swinging a driver, your irons, wedges or a putter, getting the length right is extremely important to your performance. It's a problem we'd love to be able to tackle [via adjustability] throughout the bag, but it's an even bigger engineering challenge on full-swing clubs—we'd need something we could tighten down more than what we achieved in the Sigma 2 mechanism. Knock on wood, you're not making full swings with your flatstick! INSERT THE WRENCH INTO CAP Like the one for your adjustable driver, this wrench comes free of charge. TWIST THE WRENCH TO THE LEFT This lengthens the shaft, to a max of four extra inches. To dial it back, twist the wrench clockwise. Your ideal length is the one that sets your eyes over the ball when you take your address. Adjusting the shaft length of a Sigma 2 putter is simple.